Has anyone had any problems using the Freehand Curve Draw Tool? I have watched a few tutorials and tried & tried. Some of the options do not work for me: 1) it won't draw on a surface and 2) the taper option doesn't work. 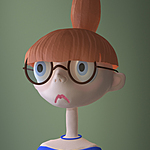 I'm working with Blender 2.79. Hi zonkerzebra ! When doing a stroke with the grease pencil, make sure that Stroke placement is set to Surface. For the taper option issue can you elaborate ? I have the Stroke placement set to Surface. It doesn't want to work. 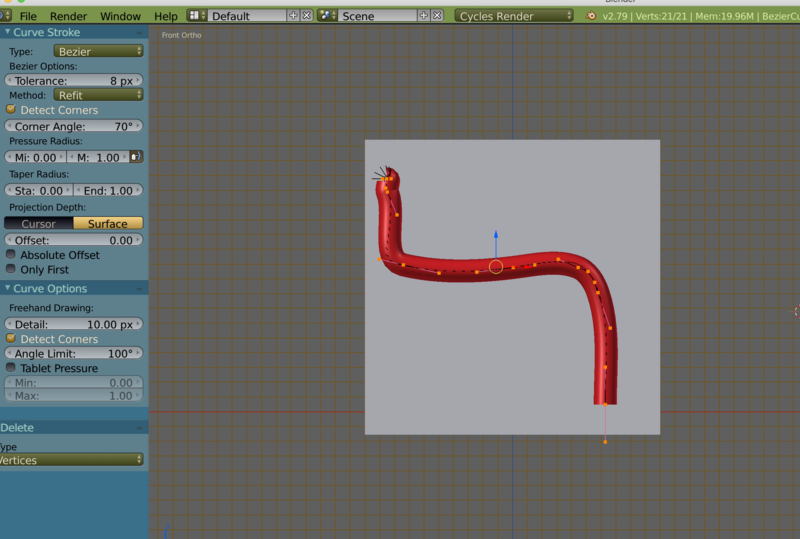 I want the curve to taper to a point on the end, so I am setting the End Point at 1.00. It won't taper. I have tried different setting in between 0 & 1.00, nothing changes. The diameter of the end of my curve stays unaffected. Here's an example of what I'm talking about. 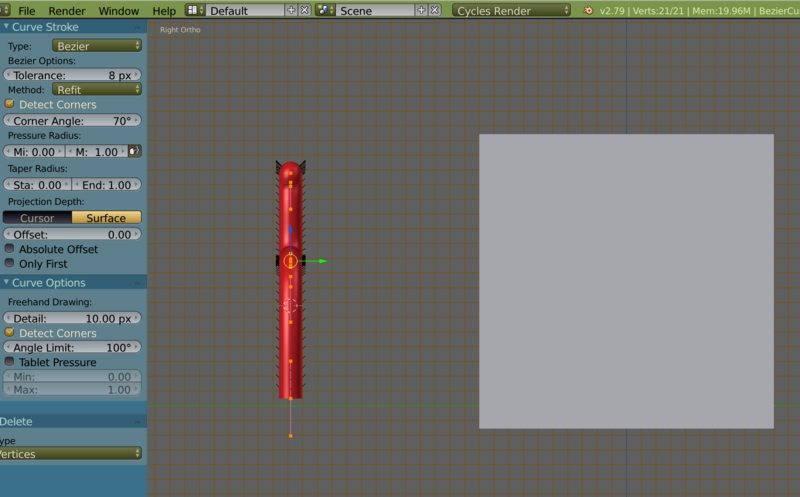 I have the Surface selected and End Taper set to 1.00. I am trying to draw the curve onto the cube. 1st pic is side, 2nd pic is front, See what I mean? zonkerzebra I see, we were no talking about the same thing. I never use curve Stroke, if I want to achieve what you describe I use the grease pencil with the parameters mentionned above. I use also Alt+S to change the curve taper size. tbrbn thank you I will try that.